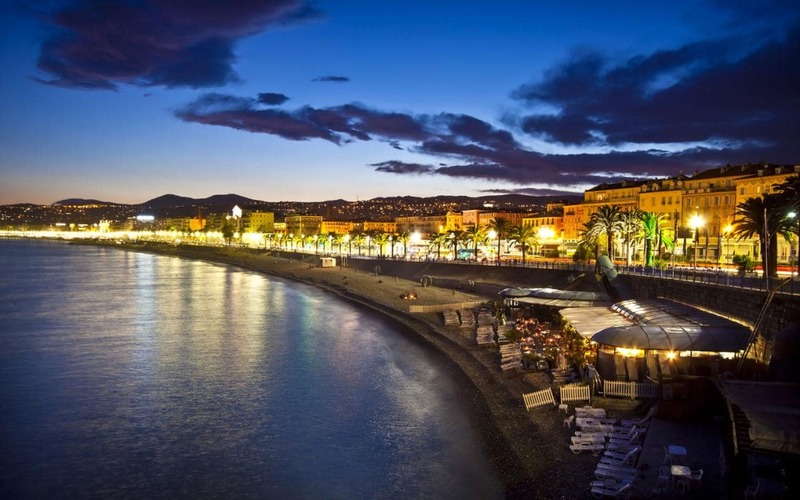 Nice, capital of the Cote d’Azur, is a beautiful city built in an authentic bay. It took its name from the English term “nice”, literally meaning “pleasant” or “attractive”. 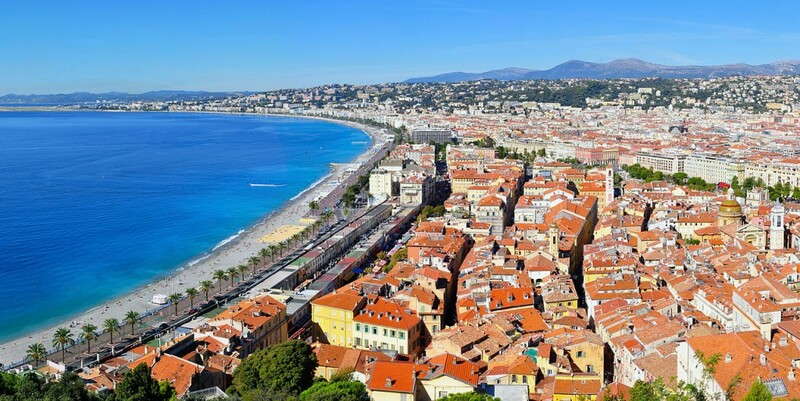 The city of Nice is magnificent, it stretches along the famous “Promenade des Anglais”, facing the Mediterranean Sea. It enjoys a particularly advantageous location, between two monumental places: Masséna and Garibaldi, two figures which give Nice a French identity and an Italian one too. Nice is a fascinating city, rich in contrast and history, with an exceptional cultural and architectural heritage. The city appeals to tourists for its pleasant climate, sunny and warm throughout the spring, summer and even in winter. It is also a place of enchanting getaway with its many tourist sites, its multiple resorts and its majestic hotels. 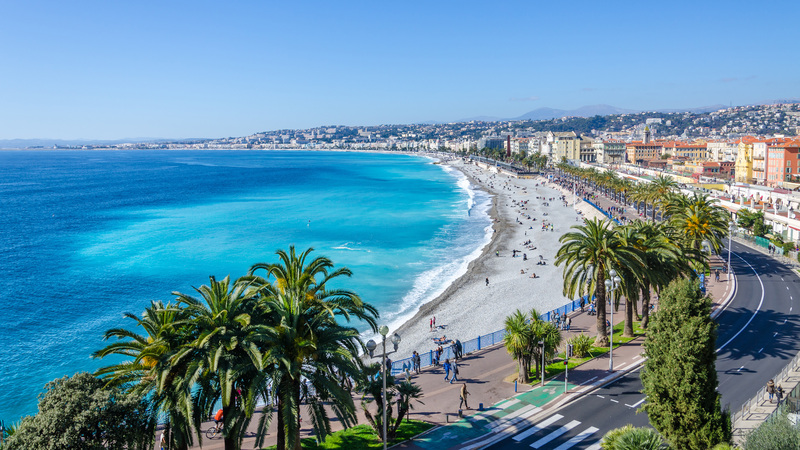 As main seaside resort of the French Riviera, Nice presents itself as a luxury destination, with its many top of the range hotels which surround the Promenade des Anglais, offering a breathtaking view over the sea. The city center also houses hotels from 2 to 3 stars, as well as quite expensive guesthouses. However, a few affordable accommodations exist, 1-star hotels near the station or more modest hotel, or even youth hostels at reasonable prices in the city center. In Nice, you will find many large hotels as well as charming accommodations nestled in the hills. The city has more than 200 accommodations of all categories. There is also the option of rental housing, furnished houses, guesthouses, individuals residences etc… There is everything to satisfy all needs and all budgets. 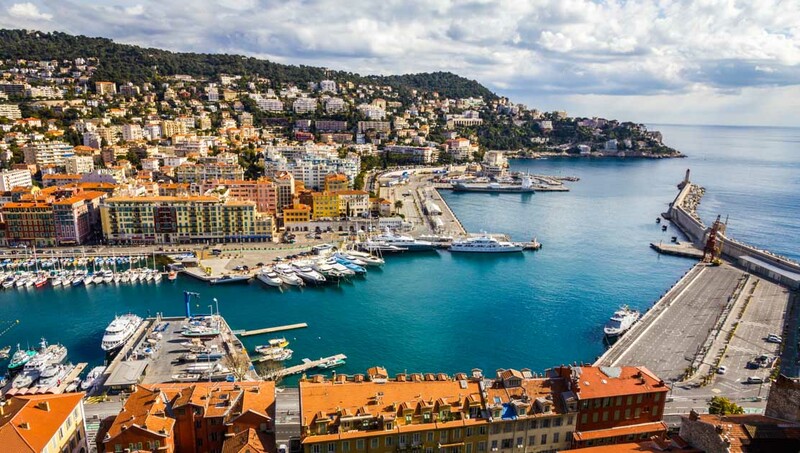 From the Promenade des Anglais to the majestic cathedral Saint Nicolas, the city of Nice is full of historic places to visit, multiple activities to do and beautiful opportunities of discovery. The Promenade des Anglais was built in 1822 by the British. It is a wonderful avenue which is 7 km long on which you can admire great luxury hotels such as the Negresco, as well as casinos bordering the Mediterranean Sea. The old town also figure among the main architectural sights to visit in Nice. Built on the rocky slopes, it has a webbing of small streets and stairs. It is here that you will find the main heritage sites of Nice such as the former castle of 1706, or the Palais Lascaris, genoese style, erected between 1643 and 1650, for the count of Ventimiglia. The old Nice also houses numerous craft shops, markets or cafés. It is also the place not to be missed if you want to taste some local flavors such as the socca, a sort of hot crepe made with chickpea flour. Every day, Saleya welcomes a beautiful flower market. It is a place of reference for a very exotic visit of Nice because you can find a unique treasure. From there, you can then continue on the district of Cimiez to enrich your knowledge on the city, visiting the Museum of Modern Art, the Cimiez Monastery, and other famous museums. Without forgetting the Cathedral of Saint Nicholas, a true work of art built by the Russians in 1912. It is one of the largest Orthodox cathedrals erected outside of Russia. It is a magnificent place which is located on the boulevard Tzaréwitch. It is said that Nice enjoys a very pleasant microclimate, and that is true. The city has rare periods of great heat in summer, thanks to a breeze that refreshes the air continuously. The city remains crowded throughout the year because the fall is warm and sunny, the winter is flowery and pleasantly warm, and the spring itself promise beautiful days, with a few rare occasional rainfalls. You have a property to rent in Nice? YourHostHelper offers you a management Airbnb service all included: household, linen, keys distribution, maintenance, repairs, check-in etc… We take care of everything!